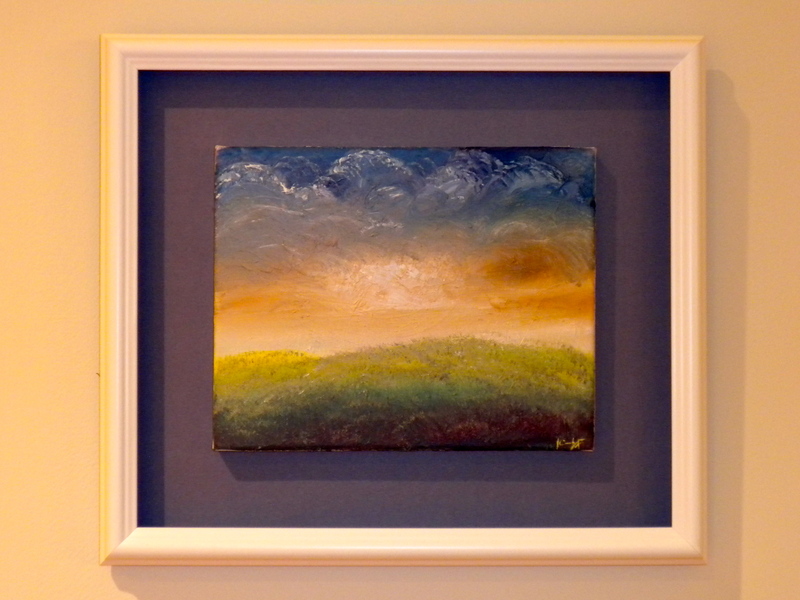 As the day comes to a close I wanted to to share a photo of a painting that I sold. This is the final piece in the frame and mount my client had made for the oil. They waited three weeks for it to be finished. It is a really unique and creative way to mount a gallery wrapped canvas. I am so thrilled that they are happy with their purchase. I am grateful that they think enough of my art to proudly display it in their home. On another note, before I sign off, I just want to say to everyone this: we never know what our words, eye contact, or a warm smile may mean to another human being. Kindness is oft forgotten in this crazy, messed up world we all find ourselves embroiled in on a daily basis. Sometimes a smile or a kind gesture…or even holding a door open for someone behind you while you look them in the eye and acknowledge their presence in the world…can make all the difference. It can make the difference in their day, in your day, in those around you who observe this action, and even in those that didn’t directly witness (or know about) your kind word or action. How? Because kindness is infective. It is seen and sensed even when you think no one notices….because when we are loving and kind this energy wraps itself around you like an invisible cloak of warmth….and others sense it. Sometimes in life it truly IS the small gestures that can make the difference for someone in need. May we all remember that as we go about our day tomorrow…..and everyday thereafter.